After much excitement and anticipation, influential Japanese artist, Yayoi Kusama finally brought her exhibit to Toronto for its only North American stop. 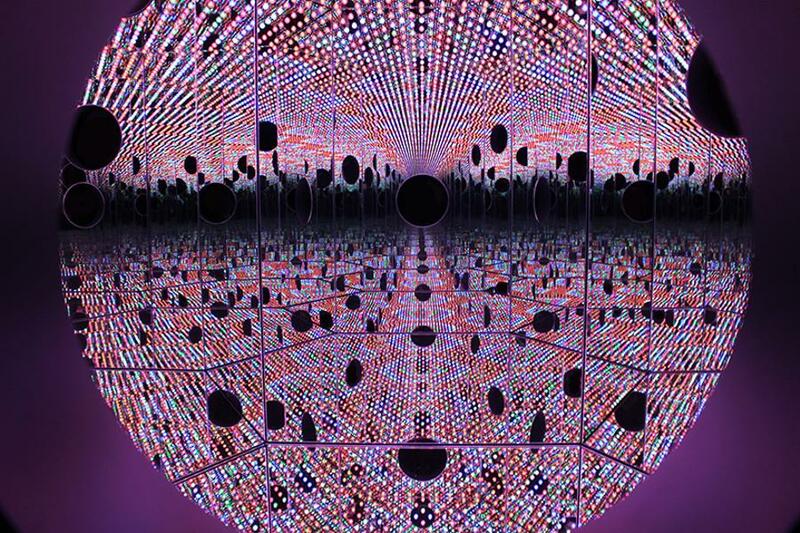 Six ''infinity mirror'' rooms are spread out over two of the AGO's floors. These rooms invite viewers to experience a myriad of dualities and challenge their own preconceived notions of autonomy, time and space. Integrated into the rooms is a selection of over sixty paintings, sculptures, and works on paper showcasing many of Kusama's lesser know collages. As the exhibition traces Kusama's interpersonal aesthetic evolution from her beginnings in neo-surrealist paper works all the way up to Net paintings and Accumulation assemblages, complex themes of nature, unity, fantasy, detachment and death are explored. Simply titled ''obliteration'', the final mirror room is an all-white domestic space where visitors are encouraged to place red dots over the area. Infinity Mirror currently runs at the Art Gallery of Ontario from March 3, 2018, until May 27, 2018.